1.4. “Us”, “we”, or “our” refers to the Cape Town Cycle Tour Trust with registration number IT3818/99, a registered charitable trust in the Republic of South Africa. 1.5. “Website” means Internet World Wide website at URL https://www.capetowncycletour.com. 1.6. “You” or the “user” means any person who accesses this Website for any purpose or who enters or participates in any event organised by the CTCTT. 3.1. You may visit the Website without providing any personal information. The Website servers may in such instances collect the IP address of your computer, but not the email address or any other distinguishing information. This information is aggregated to measure the number of visits, average time spent at the Website, pages viewed, etc. We use this information to determine use of the Website, and to improve content thereon. We assume no obligation to protect this information, and may copy, distribute or otherwise use such information without limitation. 5.1. You hereby expressly agree that we may collect, Process and share your Personal Information that you have entered in creating a profile and entering an event on the basis and with the people as described below. 5.2.4. where you have made the information public. 6.1. When you create a profile and enter an event, we collect Personal Information about you, including information that directly or indirectly identifies you if you choose to share it with us. 6.2. You cannot enter an event or create an account without us processing information about you, including basic account information such as your name, email address, date of birth, gender, username and password that helps secure and provide you with access to our services. 6.3.7. information from your browser, computer, or mobile device, which provide us with technical information when you access or use the Website or services, including device and network information, cookies and analytics information. 6.4. We use Payment Card Industry compliant third-party payment services and we do not collect or store your credit card information. 7.2. We may also use your information to market our services (where you have agreed to receive such communications), provide you with support related to the Website or any services and to communicate with you in general. 7.3. As permitted by POPI, we may use Personal Information collected to compile profiles for statistical purposes. No information contained in the profiles or statistics will be able to be linked to any specific user. 7.4. We undertake that your information will be processed in accordance with applicable law and requirements directly applicable to the provision of our services, and that we will only process the information in a manner consistent with allowing use of our Website or services or entering an event and will process it to the minimum extent necessary. 7.5. You may, at any time, access your personal information which we hold. You may also correct your personal information held by us, should the need arise.  In this regard, you may send an email to info@cycletour.co.za . 8.1.1. We will delete all Personal Information, insofar as it relates to a particular participant when we receive a written instruction from you to do so. 8.1.2. We will destroy or delete any Personal Information that is no longer needed by us for the purpose it was initially collected, or subsequently Processed. We may request that you link your entry with your Facebook or Strava profile. You will be allowed to either grant us the consent or not. When you choose to use third party apps, plug-ins, or websites that integrate with our services, they may receive your information and content. Information collected by these third parties is subject to their terms and policies. You agree that we may share your personal information with the Pedal Power Association, the event organisers of events you enter and further necessary parties in order to run an event. You agree that we may give your information to RaceTec in order to provide transponder timing and results production and other RaceTec services on the day of an event. You agree and hereby consent that we may share your ID number with virgin active, momentum and/or your relevant medical aid strictly for the purposes of the entity confirming your entry in an event. You may consent to their photographs being taken during an event. If you do so, then we will share your name and contact information with the official photographers so that they can contact you after the event. 10.1. You agree that we may give your medical information to any emergency or health professional attending to you on event day for purposes of giving you medical treatment and care. 10.3. For these purposes medical service providers include without limitation paramedics (and their employers), ambulance services, emergency services, and hospitals or other medical facilities. 10.4. We will use the above information solely to render assistance and support to you and your family, and you consent to such use. 10.5. To the extent required, this clause will act as a contract in favour of a third party for the benefit of the medical service provider concerned. 10.6. We will not give your information to anyone else unless you have expressly consented. 11.1. We may utilise temporary or session cookies. A cookie is a basic text file that is stored on your device (computer, mobile phone, tablet or other) by a website’s server. Each cookie is unique to your web browser and contains completely anonymous information such as a unique identifier and the website name. This allows a website to remember things like your personal preferences, products you prefer or what’s in your shopping basket. 11.2. We utilise first and third-party cookies. This enables us to improve users’ experience on our Website through various means such as storing preferences (like keeping a user logged in) or determining aggregate usage behaviour (time on site, number of pages viewed etc.) through web analytics tools like Google Analytics and to provide more relevant Display Advertising to Users who have visited the Website, using third party tools such as the Google Analytics Remarketing. 11.3. This allows us to track your use of this Website as well as your visits to other websites. Other websites may also use these cookies to track your browsing habits. 11.4. Cookies by themselves will not be used to personally identify users but we may use them to compile de-identified statistics relating to use of services offered or to provide us with feedback on the performance of this Website. • referring websites, search engines and the like. 11.6. We are committed to providing you choices to manage your privacy and sharing. 11.7. If you do not wish cookies to be employed to customize your interaction with this Website, it is possible to alter the manner in which your browser handles cookies. Please note that, if this is done, certain services on this Website may not be available. Users can also opt out of the Google Display Network using the Ads Preferences Manager. Because some of our Website’s features utilise cookies, we recommend that users do not block them. 12.1. We will take appropriate, reasonable technical and organisational measures as required by applicable law to protect the information submitted to or collected by this Website from loss, misuse, unauthorized disclosure, alteration or destruction. 12.2.2. unlawful access to or processing of Personal Information. 12.3.4. ensure that the safeguards are continually updated in response to new risks or deficiencies in previously implemented safeguards. 12.4. We endeavour to protect your personal information, but you understand that no data transmission over the Internet can be guaranteed to be absolutely secure, and we cannot ensure or warrant the security of any information you transmit to us. Transmitting Personal Information is done at your own risk. 13.1.4. if you have a concern about our use of your information, you have the right to raise such concern with your local supervisory authority. 14.1. Our Website is operated from the Republic of South Africa (“RSA”). If you are not located here, and choose to use our Website or services, or provide information to us, you acknowledge and understand that your information will be transferred, processed and stored in the RSA, as it is necessary, and our privacy laws may not be as protective as those in your jurisdiction. 14.2. If you are a resident of the European Union (“EU”), we are the controller of your personal data for the purposes of EU data protection law. 14.3. We will not transfer your personal information or any portion of it to any third party for any reason without your prior written consent. 14.4. We may use hosting or cloud services to operate our website and store our data which are not located in the RSA. If we do so we will ensure that the level of protection given to your personal information is at least as good as that provided for under South African Law, either by means of a binding contract with the service provider, or by using a service provider located in a country with privacy laws of similar or stronger effect.